Wed., May 24, 2017, 2:42 p.m.
A medicine made from marijuana, without the stuff that gives a high, cut seizures in kids with a severe form of epilepsy in a study that strengthens the case for more research into pot’s possible health benefits. “This is the first solid, rigorously obtained scientific data” that a marijuana compound is safe and effective for this problem, said one study leader, Dr. Orrin Devinsky of NYU Langone Medical Center. He said research into promising medical uses has been hampered by requiring scientists to get special licenses, plus legal constraints and false notions of how risky marijuana is. “Opiates kill over 30,000 Americans a year, alcohol kills over 80,000 a year. And marijuana, as best we know, probably kills less than 50 people a year,” Devinsky said. For years, desperate patients and parents have argued for more research and wider access to marijuana, with only anecdotal stories and small, flawed studies on their side. The new study is the first large, rigorous test – one group got the drug, another got a dummy version, and neither patients, parents nor doctors knew who took what until the study ended. 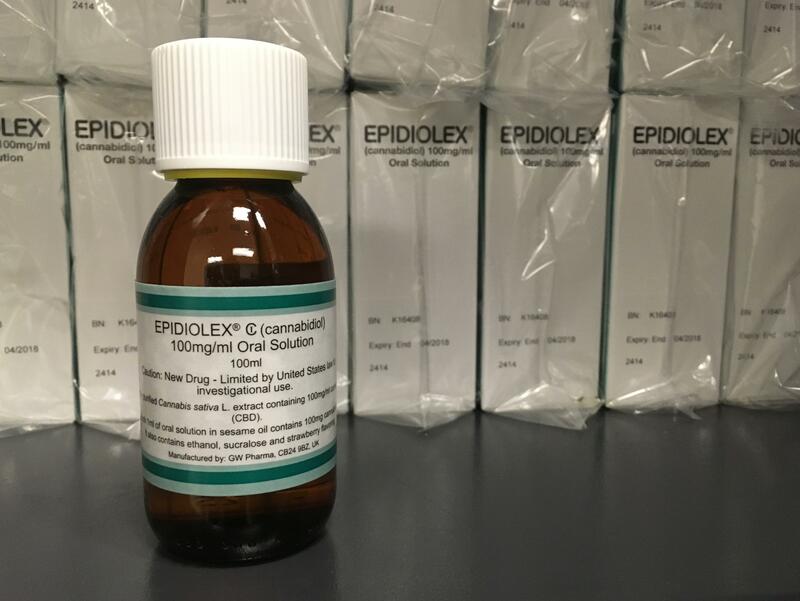 It tested a liquid form of cannabidiol, one of marijuana’s more than 100 ingredients, called Epidiolex. It doesn’t contain THC, the hallucinogenic ingredient, and is not sold anywhere yet, although its maker, GW Pharmaceuticals of London, is seeking U.S. Food and Drug Administration approval. The company paid for, designed and helped run the study, and another doctor involved in the study has related patents. Patients in the study have Dravet syndrome, a type of epilepsy usually caused by a faulty gene. It starts in infancy and causes frequent seizures, some so long-lasting they require emergency care and can be fatal. Kids develop poorly, and their mental impairment seems related to the frequency of seizures – from 4 to as many as 1,717 a month in this study. Allison Hendershot’s 12-year-old daughter Molly was four months old when she had her first. It lasted an hour and a half, and emergency room doctors medically induced a coma to stop it. Molly, who lives in Rochester, New York, has tried more than half a dozen medicines and a special diet, but her seizures continued. “We literally could not count how many” before she started in the study, her mom said. It included 120 children and teens, ages 2 to 18, in the U.S. and Europe. They took about a teaspoon of a sweet-smelling oil twice a day (drug or placebo) plus their usual anti-seizure medicines for 14 weeks. Their symptoms were compared to the previous four weeks. Serious seizures with convulsions dropped from around 12 a month to about six for those on the drug and did not change in the others. Three patients on the drug became seizure-free during the study. It’s no panacea, though. Diarrhea, vomiting, fatigue, sleep problems and other issues were more frequent in the drug group. Twelve patients quit the study – nine on the drug and three in the placebo group. Hendershot thinks her daughter got the dummy medicine because they saw no change in her seizures until the study ended and all participants were allowed to try the drug. By the second day they saw a difference, and “she went seizure-free for two months. It was pretty remarkable,” Hendershot said. For those who swear marijuana helped them, “anecdote has been confirmed by data,” Dr. Samuel Berkovic writes in a commentary in the medical journal. He is an epilepsy researcher at the University of Melbourne in Australia, where medical marijuana was legalized last year, and has worked with Devinsky in the past. The drug is being tested in a second large study in kids with Dravet syndrome, and in studies of some other types of epilepsy. Published: May 24, 2017, 2:42 p.m.